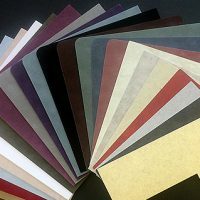 There are thousands of frames, mats, and glass combinations to choose from, the design possibilities are unlimited. 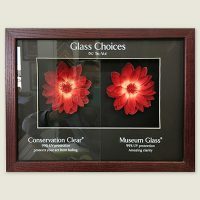 You can mix and match colors and styles to create frame designs that accentuate the best attributes of any piece of art. Mats are crucial to providing an area of visual relief so that artwork can be viewed without any distraction from its surroundings. We offer mats in many colors, patterns and textures that are used to enhance colors in the art and coordinate with your room decor. Certain glazing options have the ability to enhance the appearance of your artwork. At Frame-Kraft we offer various types of glass to suit your desire and budget. From simple Picture and UV Protected Glass to beautiful Museum Glass, let us help you find the right option for your project. Don't wait around for the competition. Get your art, photograph, or memento back where it belongs faster by turning to the experts that can offer 1-DAY service in most cases. We'll do superior work quickly. Take Advantage of our discount offers, and get 50% OFF of your custom picture frame.